We may have a tricky year ahead of us, so what's the best and easiest strategy for consistent success in 2018? #3. To how you react to what's going on around you — online and off. Whether you are a real estate owner or a wanna-be... whether you intend to buy or sell in 2018, so much is shifting in real estate, in the economy, and everywhere else that nothing should be taken for granted or assumed in 2018. Concentrate on getting the facts not just someone else's bias view of where advantages lie for you. #1. A lot changed in 2017 and the full implications of those changes will continue to emerge in 2018. Real estate ownership will be impacted by changes to tax law, estate planning, resulting neighborhood development, and interactions between these and many more elements. Where will advantages lie for you? Changes in the business world may directly or indirectly influence job or retirement security for your family. This in turn may impact qualification for financing, mortgage renewal, and real estate affordability. Projected reductions in funding and donations for social and community support programs and organizations may have widespread impact in neighborhoods, community development, and in education. These shifts may reduce location benefits which, in turn, can affect real estate value. How will your location be affected in 2018? #2. Whoever or whatever you blamed for distractions in 2017 will be with you in 2018 and might even be worse. There are only so many hours in the day and only so many dollars in your pay check. Distractions that erode concentration on your needs and goals, and distractions that feed impulse spending will be expensive in many ways. Pay attention to what takes you off point, off track, and off goal to ensure you stay in control. You may blame others for distracting you, but it's your powers of concentration that should be continually honed and improved to keep you ahead of the pack. Saving for a down payment, home renovation, or to pay down an existing mortgage requires a written budget strategy to guide you toward clearly-defined results. Paying monthly condominium fees, mortgage payments, or heating bills is exhausting when approached as month-to-month catch-up. Shift your focus to cutting costs and increasing income long-term and you'll move beyond a monthly survival perspective to establish a constructive, long-term frame of reference for success. Steady, dramatic increases in online shopping over the 2017 holiday season mean many households may be combining the impulse spending facilitated by credit cards and click-here shopping carts to undermine their budgets even more dramatically than ever. As the volume of online shoppers increases, convenience, cost saving, and product satisfaction may be compromised, so it's only the novelty of online shopping that addicts. What's all this got to do with achieving your core real estate ownership goals? #3. Significant amounts of what you believed you knew in 2017 about real estate, finance, insurance, home security, mortgages, work, and the internet will be out of date in 2018. Pay attention to which laws, regulations, services, and real estate expenses have actually changed not just been endlessly, sensationally rehashed in the media and online. Accurate information and clever strategies are gold. Tweets, posts, and other online content arrive in increasingly-overwhelming rates and volumes. This leaves less and less time to uncover facts and realities and to actually learn and think about relevance to you. From shopping or applying for a mortgage to searching for a new home or viewing property, virtual video and online content bring these and other real estate activities onto your laptop and your mobile phone. Is this distance-learning leaving you better informed and smarter real estate-wise than face-to-face meetings with real estate experts and hands-on location and property investigations? Searching out professionals who keep up with change within their profession is a challenge. Time pressures leave some professionals parroting what they hear and see in media and online instead of carrying out thorough research themselves. How do you make sure you receive the professional advice you need to interpret changes from your real estate point of view? Realty Times and my "Decisions & Communities" column will continue to provide you with real estate facts and perspectives that keep you asking more of yourself and the professionals who advise and serve you. 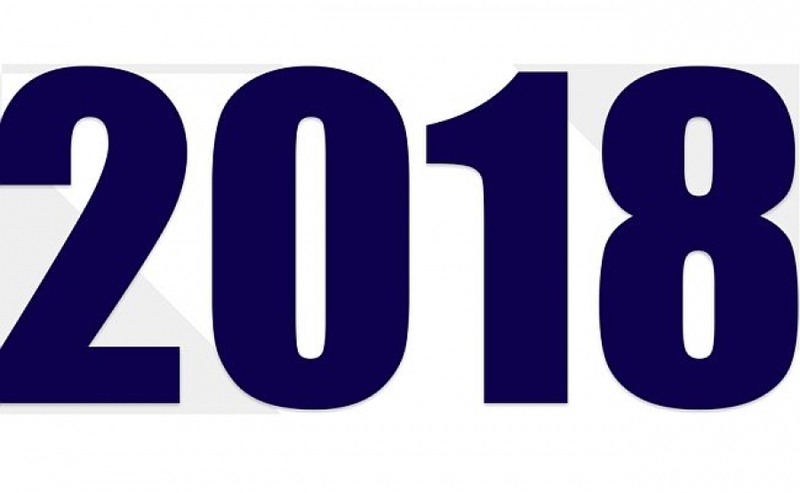 Let's meet the challenges and opportunities of 2018 head on!